Chairman of the Foreign Affairs and Defense Committee upset over Germany's increasingly hostile stance against Israel. 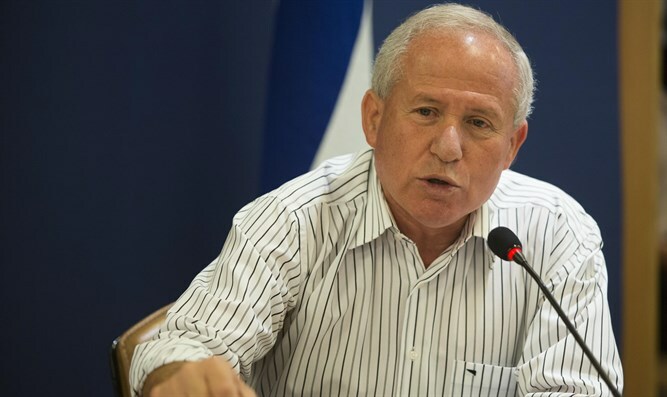 Chairman of the Knesset Foreign Affairs and Defense Committee Avi Dichter commented on the recent deterioration in relations between Israel and Germany, decrying Germany’s increased antagonism towards Israel and its support for radically anti-Israel organizations. "Germany is a key country for Israel in Europe and the world," Dichter explained in an interview with the German paper Der Spiegel. "Each reduction in German support for Israel is very worrying." Dichter said that, during a meeting in Berlin with German Foreign Minister Sigmar Gabriel at the end of March, Gabriel had explained that it was becoming harder for Germany’s political elite to defend Israeli interests because the German population was becoming increasingly critical of the Jewish State. Gabriel's father was a Nazi who never renounced his Nazism. "He expressed the fear that the younger generation won't feel as much of an obligation toward the Jewish people," Dichter said. Dichter said that his meeting in Germany showed that the German government is more attuned to Palestinian Arab lies than to legitimate Israeli concerns. “Unfortunately, both Foreign Minister Gabriel and others from the German parliament with whom we met are fed lies, and fall time after time into the traps set for them by the Palestinians,” he said. Similarly, Dichter addressed the Israeli impression that Germany and other EU countries “are closing their eyes” to the threat of a nuclear Iran. "The degree to which the German leadership is being blinded by the Iran nuclear deal is astonishing," he said, noting that he has has received "no serious answers to our central concerns." Germany has recently been outspoken in its condemnation of Jewish communities in Judea and Samaria. "We are concerned that unlimited construction of settlements will ... make a two-state solution impossible and could increase the risks of conflicts in the Middle East, including possible war," German Foreign Minister Sigmar Gabriel said in February. Gabriel had called a two-state solution to the Israeli-Palestinian Arab conflict "the only realistic option to reduce conflict in the region and prevent the emergency of a new war." Last week, Prime Minister Binyamin Netanyahu cancelled a meeting scheduled with Gabriel after he had proceeded during his trip to Israel to meet with representatives of radically anti-Israel groups despite Netanyahu’s warning not to do so. On Friday, German Chancellor Angela Merkel said that she backed Gabriel’s actions.